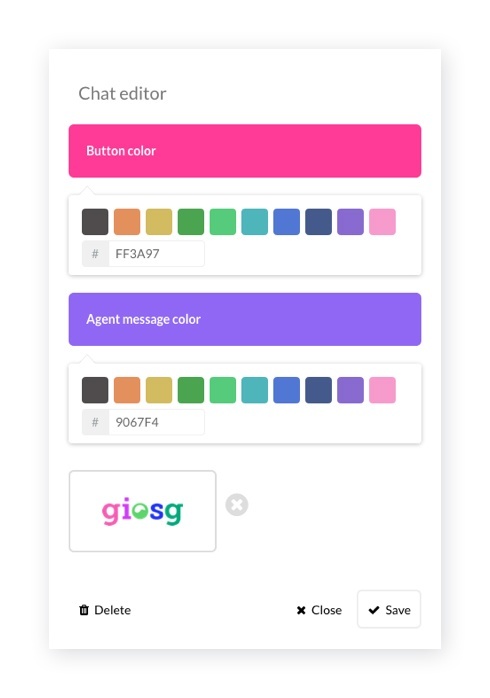 Luckily, giosg has the answer- we have just released our new mobile version! 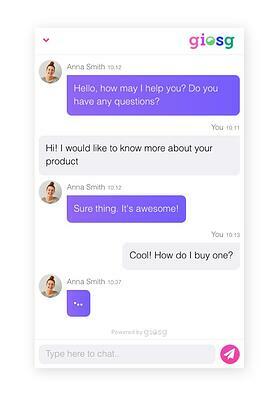 Our live chat has been available on mobile for a year, but we wanted to make it better. Our aim was to make the mobile chat more visually appealing, as well as more convenient and user friendly for both our customers and their online visitors. We wanted to be up-to-date and look great, so we came up with easily adaptable tools to customise the chat window. Now we offer the option to change the colours on the chat window and to edit your company logo with just a few clicks, you can also preview your edits whilst doing so. Today you might go pink, tomorrow green. Take your pick. The new version not only looks cool, but it’s easily operated and simple to use both for the service provider and the visitor. The most important new feature is that visitors no longer have to leave the website they’re in to access live chat, the chat window opens on the same web page, making it easier to scroll through your page whilst chatting with your agents. The chat button in the bottom of the page will notify the visitor when there is a new message. Sounds good right? Update your mobile version today. Get ready to chat, don’t miss out!